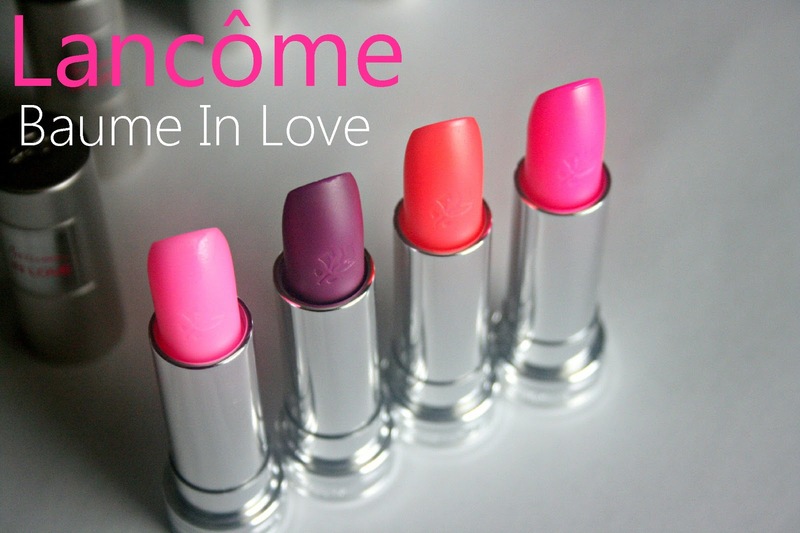 Baume In Love ($26 each), a sheer, glossy moisturizing balm for lips that comes in four new shades as part of Lancôme's Spring 2013 collection. Although very neon and bright in the tube, they go on sheer and provide a light wash of color without any shimmer or glitter. Similar to the Rouge In Love lipsticks, the packaging is a small, slightly heavy metal case. I love the packaging - it is extremely easy to just throw into your purse and travel with. The textures of these tinted lip balms are very smooth, easy to apply and not the slightest bit heavy or waxy. The colors don't show up too well on me, I doubt if it will on anyone though. But it doesn't look just like another clear gloss either. I like the very subtle tint it leaves on and the slight stain that is left behind especially by Coral Electric. I don't detect any scent or flavor and absolutely love these this time of the year when all I'm looking for is a super easy product to nourish and add a little bit of color. I get about 2-3 hours, just like I would from any other sheer, glossy balm. Overall, if you don't mind how sheer they are and like the very natural, barely there color, they are well worth a pick up. I din't have any problems with these drying my lips out even after fading. The formula feels really balmy and a tiny dab works really well as a base under most lipsticks too. Have you tried any of Lancome's Baume In Love Tinted Lipbalms? What do you think of them? They're really pretty. Sheer is cool, but Lancome is so expensive, I'd give these a miss. Hmmm yeah, I wish they brought down the prices a bit. They have some really nice products! I love the look! Id buy these just for the neon look they have! They look super neon, don't they?